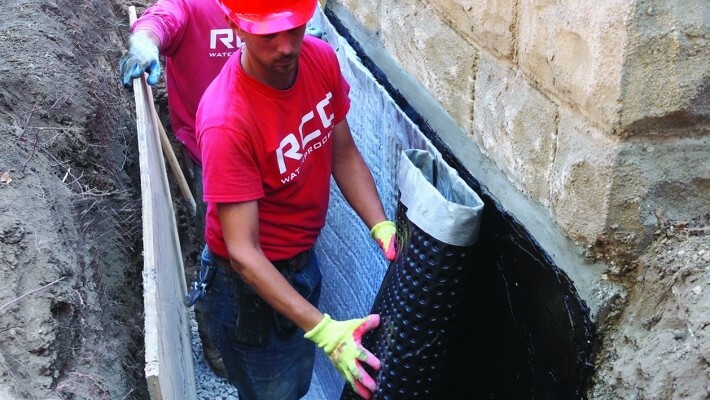 With the recent spurt of rain and flooding in the Ontario province area, more and more individuals are turning to waterproofing their crawlspaces in cities like Hamilton & Ottawa. As a waterproofing contractor you have probably been reaping the benefits. However, what you might not realize is the more and more work you take on, the greater risk you are open to. There are tons of liabilities that you and your employees are faced with on a daily basis. Fortunately, you always have access to waterproofing contractors insurance, which can protect you in a variety of different situations. That being said, before you just go out and start buying up policies there are a few things that you need to be aware of such as cost of contractors business insurance. Luckily, that is exactly what you are going to learn about below. How Long Does It Take To Acquire Contactors Waterproofing Insurance? Now, that you are completely aware of the risks that your business is open to, you probably won’t to get insured as quick as possible. Well, you will be happy to know that depending on the provider that you are dealing with and the types of policies that you are signing up for, you can literally get insured in just as little as 24 hours. If you want to speed up the process and ensure that everything goes smoothly, you want to have as much information as possible present when going through the contractor insurance application process. Make sure that you have your employee list, number of employees, each employee’s job description, and your estimated profit margin for the year. In addition to this, it will also come in handy if you have your general business billing information on hand as well. 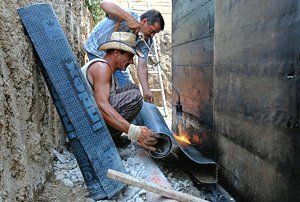 How Do You Apply For Waterproofing Insurance? There literally are several different ways that you can go about applying for different policies. For instance, thanks to the convenience of the Internet, you can scour tons of different providers, get quotes, and fill out an application, all within just a matter of 30 to 45 minutes. However, if you are more traditional, you still have the option of applying over the phone or in person. Keep in mind that there are some advantages to applying over the phone and in person, because you can ask all the questions that you want to a real life expert. Along with this, you will get to have an actual conversation with the provider, so it will feel more like a personal affair, rather than a quick business deal. One advantage to applying online is the speedy response times. Just within seconds after applying and verifying your information the insurance provider in a popular city like Brampton can literally e-mail you proof of your coverage. Another popular option that waterproofing contractors like to take advantage of are brokers. Brokers are expertly trained individuals that work independently of insurance providers. While they have tons of in depth knowledge in the insurance field, they are not actually employed by insurance companies, but they do work with a variety of different companies closely on a daily basis. These experts can provide you with in depth information about the different types of policies available to you, the different providers available, and they can even go as far to completing all the paperwork for you. This is an excellent option if you are new to the insurance field, do not know much about the lingo or policies, and are very limited on time to search for a provider. Whether you are going to use a broker or do the search yourself, it is imperative to shop around, get a variety of quotes, and do some research about the companies that you are considering. While there are tons of providers in the Ontario area, not all of them are created equally. Some providers will offer customized polices that include commercial auto coverage and can be tailor made to fit your exact needs while others can offer quick turnaround times. Whatever the situation is, you always want to make sure that the companies has your best interests in mind, as this insurance can literally keep you from getting sued or going bankrupt. While it might seem like your best option is to look for providers that offer the cheapest rates, this is not always the case. You want to look for a provider that is willing to go above and beyond to serve you and your company, like our brokerage.